I recently experienced a warm trekkie emotion when J. 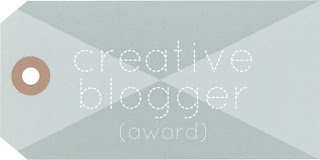 A. Scott chose me for the Creative Blogger award! So I want to thank our friend Jeffrey for the thrill and jubilation of this Award. J.A. Scotts a huge Science Fiction nerd, reader and blogger who's been writing since 1986. His blog has short stories, poetry, music, photography and is celebrated for R.A.N.T. which translates into "Rage About Nothing, Typically." Don't forget to stop by and enjoy the Sci Fi buzz. I am a huge Star Trek fan. I totally enjoy exploring the positive influence Star Trek has on peoples lives, forever constant with tv shows, parodies, movies, characters and stories going boldly. 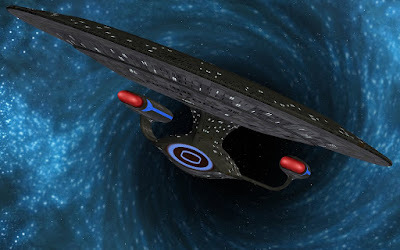 I made this graphic for Star Trek Sci Fi Blog super imposing the USS Enterprise NCC 1701 into the corner and later added a Klingon bird of prey in full pursuit. Do you think Captain Kirk would run away from a gunfight? 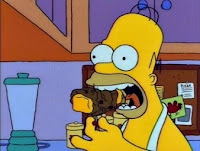 I love eating chocolate. I've switched to dark chocolate because its better for you, lol. I know you believe me but hey thats just my cover-story and I'm stickin' to it. I made this spaceship! Isn't she a beauty? She's got space running lights and sound effects too. I love the original version of the Firm's song "Star Trekking Across the Universe" so I've added the lyrics in the link so you can join in the fun and sing along. Don't forget to come back and tell me about your awesome "Star Trekkin' Across The Universe" experience! What great and interesting thoughts, congrats on the award and best wishes! You know I'm all for blog awards I had two lebster ones that i said no to because of the crap that is attached to them. 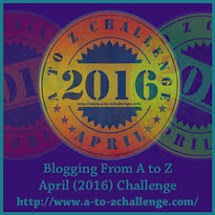 Yes blogs should be awarded buy why do you have to tell five facts about yourself and nominate 10 to 20 blogs. 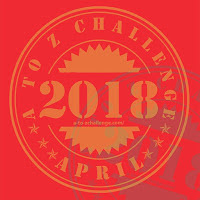 Give an award to the blog for what it is being good. Woohoo! I got an award! Thank you much for the award, good sir! Since there's only one award we'll make sure and squabble over it until it's broken and no one has anything (this is why we can't have nice things). Also, that's an awesome spaceship you made. And congrats on your own award! Thanks from me too I am not sure when I will be able to share it. Somewhat bogged down at the moment. Is it supposed to be as pale? I could hardly read it. Congratulations on receiving it too. Thank you, Spacerguy! Completely unexpected but very appreciated. Thank you so much for nominating me. I am not going to play because I cannot choose ten, or twenty, or thirty blogs. All of the blogs I follow are creative and interesting. I would feel mean. And exclusionary. And I am a rule breaking lazy, dull person. I will think about what to do, have it up and running! Instead of 15-20 bloggers, I'd like to nominate just 5, knowing that summer is here, along with vacations, kids, etc. You deserve that award. Thanks for nominating me. Now I have to live up to that. Laughed at your dark chocolate reasoning. Me too! Hershey's dark chocolate kisses this week. And you are so very creative, I feel unworthy. You made that Enterprise? I am impressed. You did an awesome job on the graphic you designed!! Dark chocolate has always been my favorite! Great to have a legitimate reason to eat it these days, isn't it? Congratulations to you and many thanks for passing it on to me. It may be a little while before I can do my own post but I will. Awesome. Thanks Mark, I promise not to trek out too much, lol. Thanks blogoratti, To my fellow nominees I'm so proud to share this thrilling journey with you. Your welcome Maurice. The USS Enterprise NCC 1701 sure gives us an escape second star to the right, straight on 'til morning and beyond. We're all one big bloggie family thats what we are! I think you guys should think of yourselves as winners, you've got the talent, beer, babes and bacon. Not all of us bloggies dare wear pretty makeup! Incredible. Jo I love you. Be creative, work hard and do something special. Thats you Bish! I wanted to trek out with you on the bloggie adventure, maybe next time E.C. I love you and thank you Susan. We all struggle to make our dreams happen. Everyones so talented Susan, I'm humbled to be nominated lined up against such talented bloggies and trekkies! Time to break open the Hersheys LOL. Its like a celebration, Linda. We're all starving for that little bit of attention. Let the adventure games begin! LOL. Thanks Alex. I sure did and she's still giving it all shes got! The Enterprise sure is something special. Thanks Barbara, I think it captures the spirit of Star Trek as we strive to live the impossible. I'm in awe and have so much respect for you all. Our Star Trek (TAS) blogfest with the bloggie gang has been a unique celebration. Thanks for making the dream happen Squid. LOL, Try it out with one of Jo's recipes Tony, it'll taste even sweeter. Wow! Congrats on the award! I love chocolate, too! I'm so impressed with your workmanship on the graphic and the ship! Thank you for nominating me! I'm listed with some amazing company. It's awesome to see so many congratulating you. I feel no matter what the award is, it's always nice to be mentioned. As many of the commenters said, I felt you deserve the award. Lots of good stuff and I'm always cross-reading other posts. I always keep the good stuff to fire up the warp engines, you just never know whats around the corner second star to the right, do you Cherie? You welcome Heather. It was my pleasure. Its exciting writing and creating graphics for readers to enjoy. We have such a great time buzzing around the bloggie neighbourhood! The model USS Enterprise NCC 1701-A is sixteen years old and still works! I've really enjoyed all the attention and its been a total buzz. Everyones been so friendly and outstanding. I feel like I'm standing shoulder to shoulder with sci fi bloggie super-heroes. All we need now are the capes or T-shirts from Hollywood Nuts. Star Trek TAS The Slaver Weapon.